This post may seem early but we always have to finalise the range you’ll be buying before the previous season even finishes, so we’ve already got a pretty good idea of what looks new and exciting for the next game shooting season. Here we take you on a quick tour of the winners and losers from the new season products. Let’s start with tweed; the most traditional of all shooting jackets, where not much ever changes and the same is true this season. Schoffel have brought out a great new colour of their Ptarmigan Tweed Jacket, and Musto have added a new colour to their Technical Stretch Tweed range, but the jackets themselves and the technology in them is the same as the last few seasons. Likewise, Barbour have brought out the new Fellmoor Tweed Jacket in two attractive colours; but whilst it has a new name, and colour palette, it is essentially the same tweed jacket as last year. The new Barbour Fellmoor Jacket may fundamentally be the same jacket, but the quality is exceptional for the price, making it a highly recommendable choice. The one newcomer that stands out is a first venture into Tweed from Scandinavian brand Harkila with the Torridon Jacket. Harkila have always been a premium brand, with top end price points and exceptional quality, and at nearly £600, this tweed is no exception. I think it is fair to say it’s about the nicest shooting tweed jacket I’ve seen, with excellent attention to detail on the design and finish. It may be a £600, but at the quality you’re getting, it certainly seems worth it. It has only 1 problem; the colour doesn’t suit the UK market. With more brown than green in the base colour, its appeal will be limited, I just hope they come back in 12 months’ time with a similar jacket in a revamped colour. The majority of the game shooting jacket market is now dominated by jackets in various shades of ‘green’, but they vary enormously in technical performance and quality. Therefore, choosing between what essentially looks like very similar fabric can be extremely challenging. 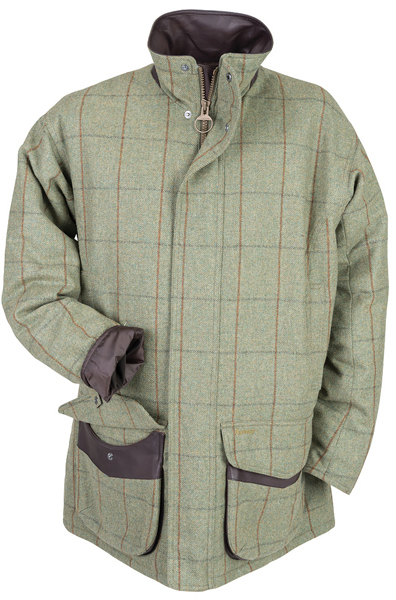 I’m fairly sure the best new jacket will turn out to be the Schoffel Ptarmigan Ultralight Coat. It is cut on the same template used for the rest of the hugely popular Ptarmigan jacket family, but the big difference is that this jacket sits at a very pretty price, just £299. It is incredibly well priced compared to its competition, including other versions of the Ptarmigan jacket. The reason for the lower price is that it doesn’t have a GORE-TEX® liner, but don’t let that put you off, the Venturi® liner used instead has been proven by Schoffel in other jackets and, in my opinion, won’t compromise performance. 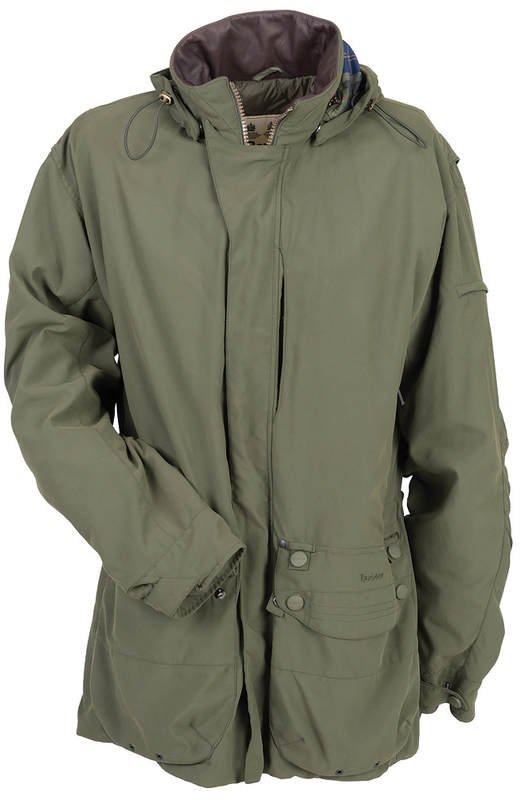 It has also been designed to be incredibly light, more of a waterproof than a full coat. Despite this, my feeling is that there is enough jacket to make it feel like a full on shooting coat, hence it is going to be a really popular option. Musto have also ventured into new territory with their fresh offering, the Musto Storm Jacket. 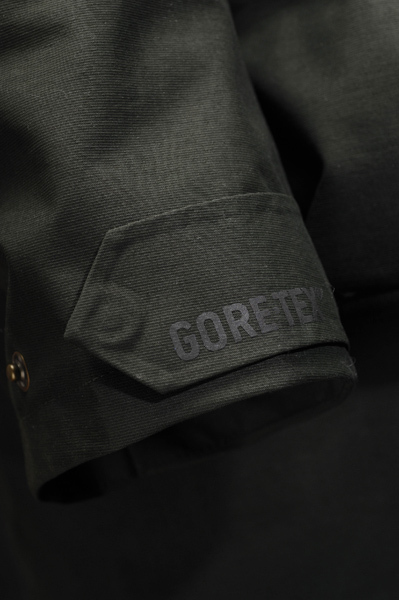 We sold a similar limited edition jacket from Musto last year called the GORE-TEX® Sporter, which proved very popular. Musto have taken the Sporter concept to a new level with the Storm Jacket, producing what should be the ultimate jacket on a really wet day. 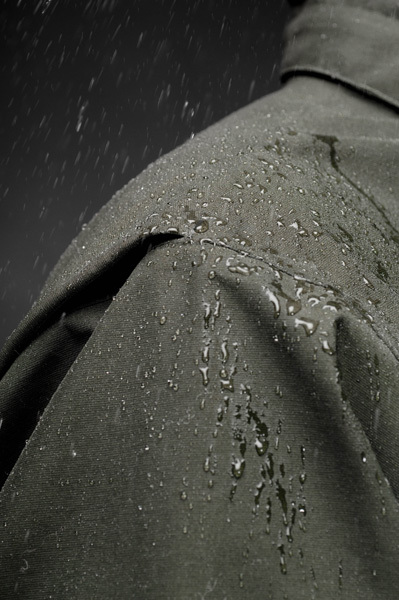 They’ve stripped all of the weight out of the coat so that it is, in essence, a very durable layer of GORE-TEX® that will keep rain out and wick away sweat quickly. For the traditional shooter looking for a new jacket, the Storm Jacket may take a bit of getting your head around. Initially it doesn’t seem like much fabric for your money; however, for those that like the latest technology, and appreciate design and build quality, this is unbeatable. 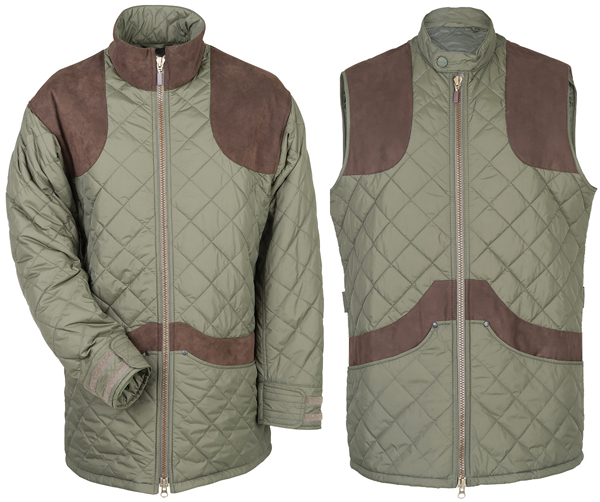 Furthermore, it is designed to be worn with the newly launched Musto Quilted Primaloft Jacket or Primaloft Gilet. Like the Storm Jacket, the concept of the Primaloft Jacket and Gilet take a bit of getting used to; because they are so incredibly lightweight, it makes it difficult to believe they are as warm as you want them to be, but in reality the warmth is unparalleled. It’s difficult to believe that this barely there item can keep you so incredibly warm – if it wasn’t for the warmth you wouldn’t know you were wearing it. 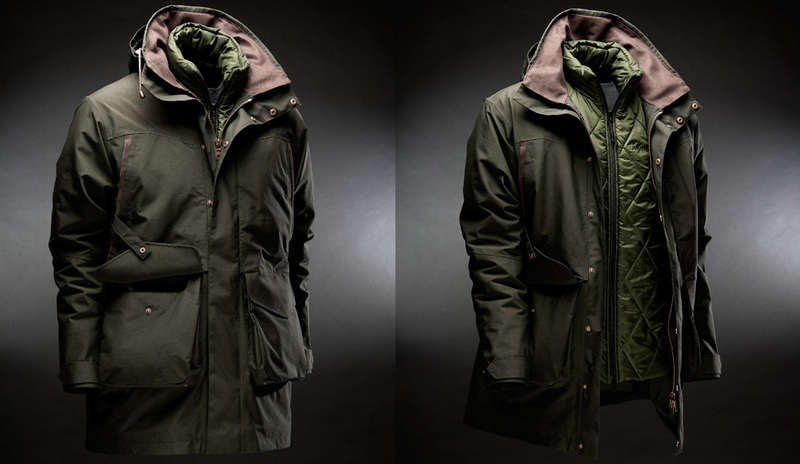 Other items to note from Musto this season are new versions of both the Keepers and Westmoor Jacket. The new Keeper Jacket has taken on a more functional look with the addition of synthetic suede shoulder patches, but it remains true to its roots as a great practical jacket for day in day out use in the field, with all the pockets and other features you need. The new Westmoor, traditionally a lightweight coat, has bulked up a bit, making it a great all-round choice. I anticipate it to be hugely popular with casual shooters looking for a multipurpose jacket. Sadly, we say goodbye to the Musto Highland Jacket this year, after more than 25 years as the ultimate shooting jacket (however I hear a rumour it might be back in a revamped form for the 2015/16 season). The biggest changes this year are in the Barbour range, where the only item that survives unchanged from last year is the Dunmoor Fleece; a sensible decision for an impressive garment. The rest of their range was struggling to keep up with the competition, and the total revamp is a well thought out move which will hopefully put them back on the map for quality shooting clothing. The first new jacket is the Barbour Darley Jacket, which is very similar to their previous lightweight jacket, the Sporting Featherweight. There wasn’t much wrong with the previous version, but with the tweaks to design and finish, the new Darley Jacket could be ideal for those who like a lightweight style. If you’re a lover of a more traditional style shooting jacket, the Barbour Bransdale Jacket is going to suit you better. It unashamedly looks a little like a Schoffel Ptarmigan, but is really closer to the Barbour Berwick, which in its day was a fantastic coat. With such a new design and fabric, it’s impossible to know how it will perform, but it certainly looks better than any Barbour shooting coat for a good few years. Also new to the range is the Barbour Garrowby Jacket, very like the new Darley Jacket, but with a bit more warmth. It’s a top end jacket that is going to appeal to those who feel the cold! For traditional Barbour fans looking to replace an old favourite, there are a few items that look to have gone from the range, but are actually still there under a different name. 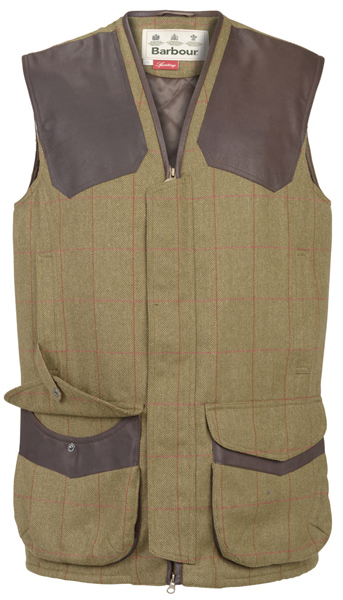 The Keeperwear Jacket and Gilet are revamped and now called the Brearton Jacket and Gilet. The waterproof lined Storm Jumper is now called the Fellan Sports Half Zip, and as covered earlier, the tweed range is now called the Fellmoor Tweed. From leading French footwear brand Le Chameau there is very little new this year. The Cheverny Jacket, one of the most popular jacket of the last 10 years remains the same, as do most other items, including their great range of shirts. As is typical from Chameau they are nicely styled, with a fit that is superior to many of the British Brands. That completes our review of what’s new for the 2014/15 shooting season, we’ll be adding links to the new products in this blog as and when we get them in, and bringing you more detailed reviews on various products as the season approaches. 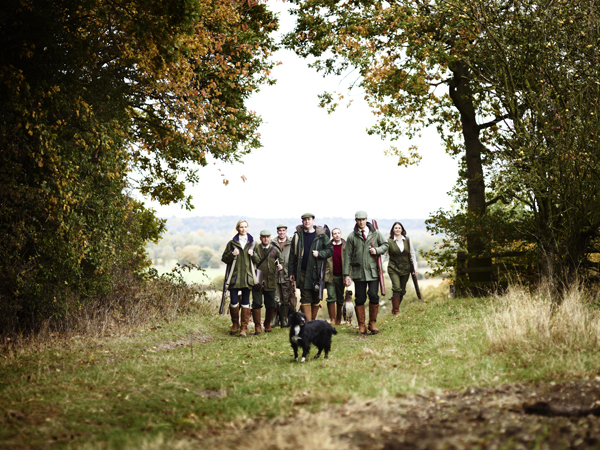 barbour, Harkila, Le Chameau, Musto, New Season, New Shooting Season, Sch?ffel, shooting, Shooting Clothing, Shooting Jacket, Shooting Season, Shooting Season 14/15, Tweed. Bookmark. Really enjoyed your post on the latest lightweight shooting jackets. Out of the ones you reviewed which was the lightest jacket. I ask as I’m looking for a super light weight waterproof jacket to be worn over a suit in London, which won’t melt me in mild summer showers. Many of the jackets we reviewed are not in stock yet. If you can wait until it is here, the Schoffel Ptarmigan Ultralight Coat is going to be great, and super lightweight; so is the Musto Storm Jacket. If not, the Musto Fenland Packaway -http://www.philipmorrisdirect.co.uk/musto-fenland-packaway-jacket/product/ – is extremely waterproof and only weighs 0.6kg, it also packs away in to it’s own little pocket so it would be handy to carry around on those days when it’s not raining on the way to work, but pouring for your return home!